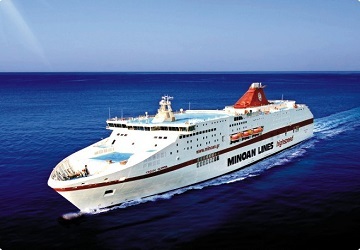 Minoan Lines is a Greek company and one of the largest passenger ferry operators in Europe, linking domestic and international ports in comfort and style. 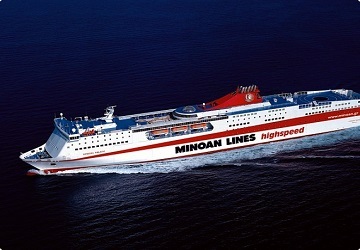 Maintaining a fleet of modern, high speed ferries and guided by a customer-oriented philosophy and the continuous upgrading of quality and range of services, Minoan Lines has managed to capture the highest rankings in customer satisfaction since their inception in 1972. The fleet contains the fastest cruise ships in the Mediterranean staffed by a team of well-trained crew, enabling you to have the most relaxing journey possible. On-board you'll find some of the finest facilities available in the ferry sector including a large choice of cabin accommodation, a selection of lounges and bars, shopping facilities, children’s play areas, swimming pools, discos, cinemas and much more. 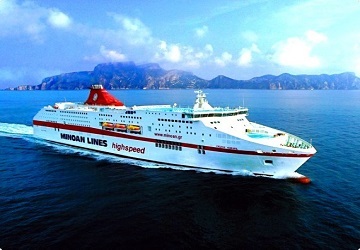 Travelling with Minoan Lines is comparable to staying in a luxurious resort, and your holiday really will start the moment you step on-board. 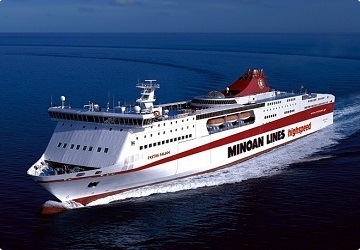 Directferries.com allows you to compare Minoan Lines timetables and fares with all alternative ferry operators before deciding on the best option for your trip.